Eilean Glass in Scalpay in the Outer Hebrides. 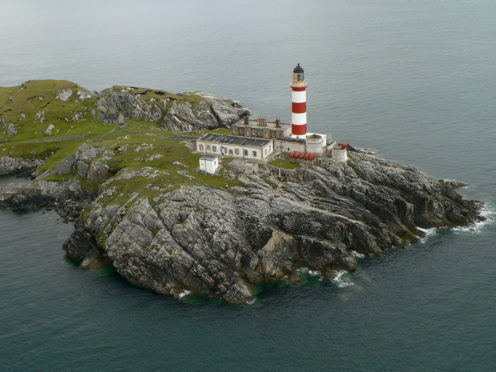 Eilean Glas, on the Hebridean island of Scalpay, is one of the four oldest lighthouses in Scotland, dating back to the 17th century. In an effort to give the grade A-listed building a new lease of life, operators Northern Lighthouse Board (NLB) have lodged a planning application with Western Isles Council to seek approval for a number of elaborate changes. The board proposes to remove ladders from the boat landing and fog signal buildings before replacing them with a modern alternative. The lighthouse’s light – properly described as a Sealed Beam Lamp Array – which was installed in 1981, is also set to be upgraded as part of the works. All operational buildings on the site will be fully refurbished and redecorated both externally and internally. The existing operating and monitoring system in the structure will be decommissioned by the board from their operation buildings before being replaced by an equivalent updated system with LED optic technology. If approved by council officials, the works are scheduled to start on the structure in April, giving the team seven months to meet their November deadline for completion. Mr Rae said the works were vital in a bid to ensure the structure remains in operation for generations to come. The North Harris Trust and Eilean Glas Trust retain ownership of the remaining structures and land within the complex.